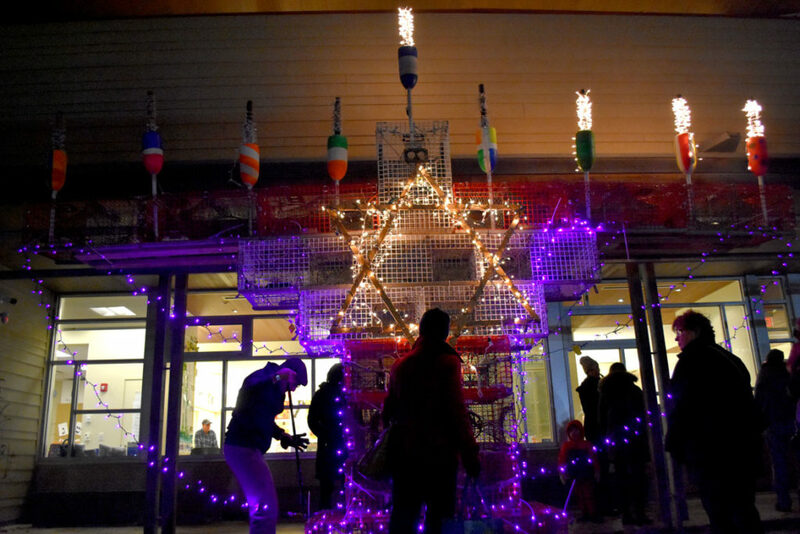 “This is a time when we need light in darkness,” Rabbi Steven Lewis of Gloucester’s Temple Ahavat Achim told the crowd gathered last night as they lit what’s said to be the world’s only Lobsta Trap Menorah for the third night of Hanukkah. 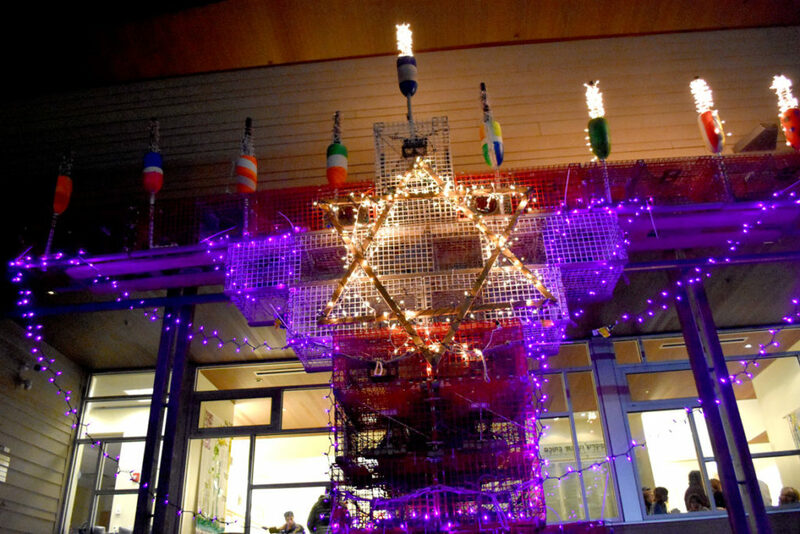 The annual tradition began in 2014 when the congregation constructed a 14-foot-tall, 20-foot-wide menorah from 22 lobster traps borrowed from local fishermen. Lobster buoys with electric lights served as the candles. 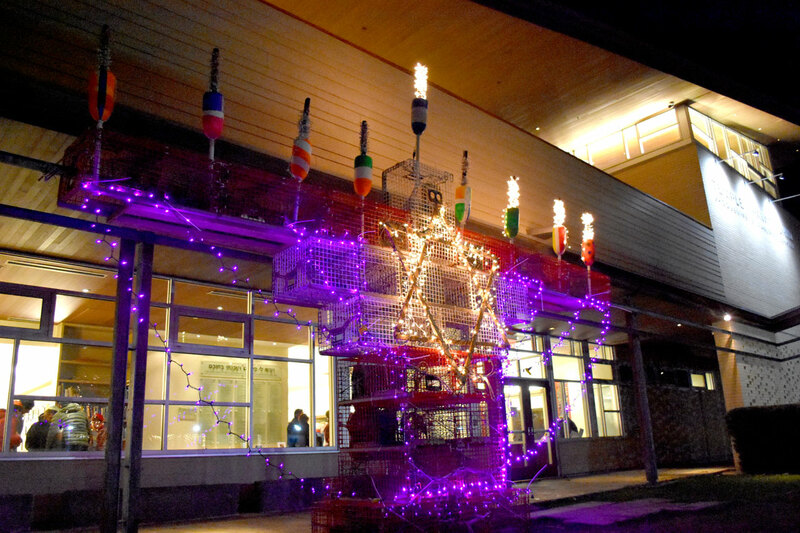 The display is a source of pride and joy for the small Jewish community in the city (Temple Ahavat Achim is the only synagogue in Gloucester), and a way to express their connections to the city’s commercial fishing traditions. 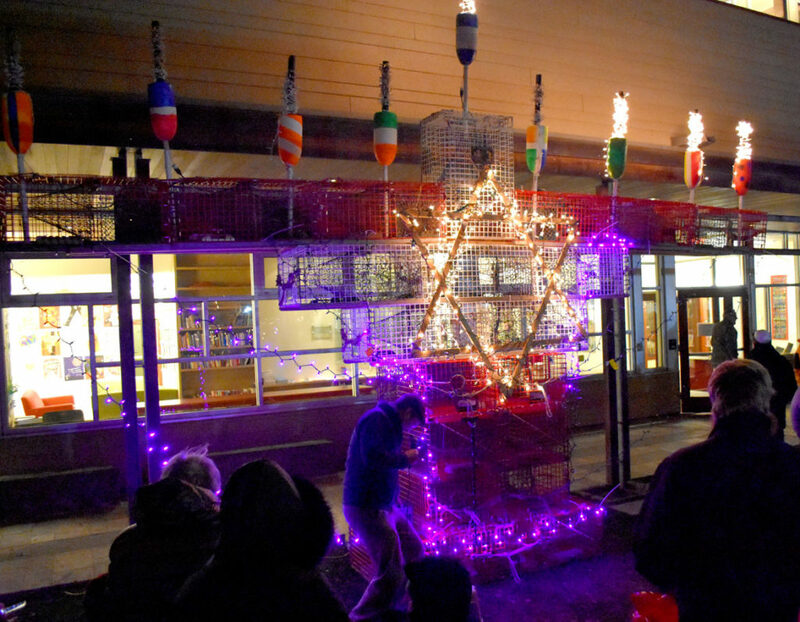 The Lobsta Trap Menorah was inspired by the 40+-foot-tall Christmas tree constructed from lobster traps stacked outside the fishing community’s police station on Main Street. The trap tree, erected each winter since 2001, has inspired similar displays in other fishing communities along the Atlantic coast. Last night, Lewis called on the dozens of families outside in the icy weather to spread tolerance all over the world. Together they sang, then they retired inside to share traditional latkes topped with applesauce.